Ensuring compliance with fisheries laws and regulations is not an easy task in Fiji. 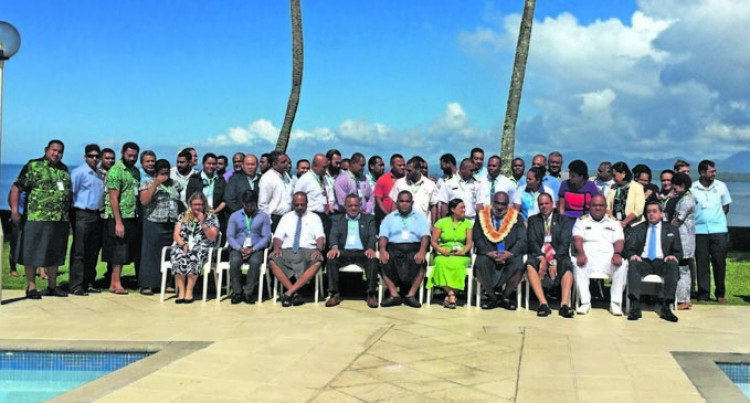 Minister for Fisheries, Semi Koroilavesau made this comment while officiating at the 2019 National Fisheries Enforcement Forum at the Holiday Inn in Suva, yesterday. We have a large Exclusive Economic Zone (EEZ) and thousands of kilometres of coastal area spread over a wide geographic area. “As Minister for Fisheries, I also understand the importance of our compliance and enforcement activities and having the adequate resources to support this, in ensuring the sustainable management of our fisheries resources. “The Ministry of Fisheries has the principal function and authority for the conservation, management and development of all fisheries resources. Mr Koroilavesau said: “We can only do this through effective partnerships and working closely with all our enforcement partners, which includes all of the stakeholders present in this forum. “But engagements such as this Enforcement Forum provides an excellent opportunity for us to discuss and address some of these challenges. He said that the Government recognises the importance of our fisheries resources to all Fijians. “We also recognise that our fisheries resources, and in particular our inshore fisheries resources, are under increasing pressure and are being depleted. “This Government is committed to turning this around and protecting these resources for the current and future generations of Fiji. He stated that they have closed the sea cucumber fishery to allow these stocks to regenerate. “We have implemented the first ever seasonal closure of the Grouper and Coral Trout fisheries as a first step towards rebuilding stocks of these fragile and valuable fisheries resources. “We are also now re-assessing our current management measures, such as size limits. The two-day forum that will end today.